Our mikvah is open each evening by appointment only. To make an appointment, please call our mikvah at 954-568-1190 ext. 7. 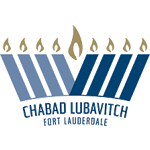 To schedule a tour of our facility or to arrange for private instruction on the laws of mikvah, please call our office, 954-568-1190 or email office@chabadfll.com.